Lungfish are a peculiar type of fish that can survive for an extended period on land. Using their pectoral fins to propel themselves, they can gulp air and live for some time out of the water — and they're the sole surviving creature that could explain how we evolved to leave the oceans. 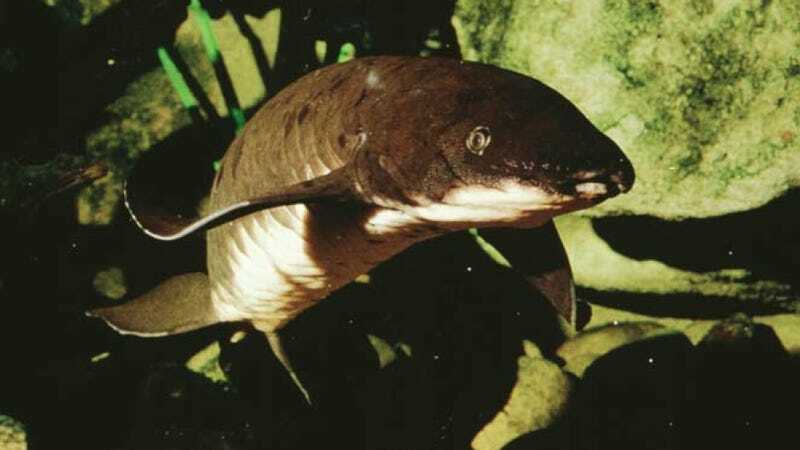 The ancestors of lungfish are what eventually evolved into tetrapods, the four-limbed creatures that made the transition into full time landlife, and then became the basis of all land animals. The majority of the analysis on this transition was previously carried out on fossils, but the big problem there is that all their soft tissue has gone, leaving us missing a key part of to how the load bearing muscles of legs evolved to support the relocation onto land. So what the researchers did was analyse how the muscles on lungfish legs develop differently from those of cartilaginous fish, which were primitive but more in line with most fish than the bony lungfish. The team genetically engineered the fish to trace the migration of precursor muscle cells as the animal developed, adapting the cells to glow red or green, allowing them to track the development of specific muscle groups. The lungfish showed a different way of growing pelvic fin muscles, one that is a halfway point between the types that are specialized for underwater use and on-land use. This stepping stone of evolution would have been crucial to the fish being able to get around when they let water, and crucial towards evolving into longer stretches on land. "Humans are just modified fish," said Professor Peter Currie. "The genome of fish is not vastly different from our own. We have shown that the mechanism of pelvic muscle formation in bony fish is transitional between that in sharks and in our tetrapod ancestors."